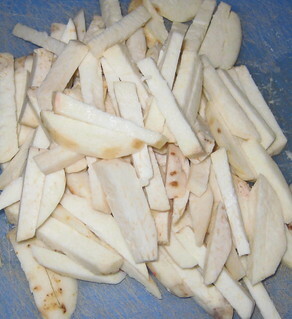 Wash the taro roots and pat dry.Peel them and thin slices. 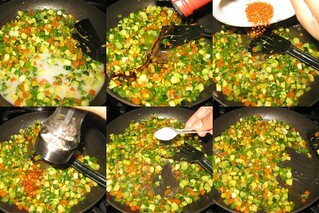 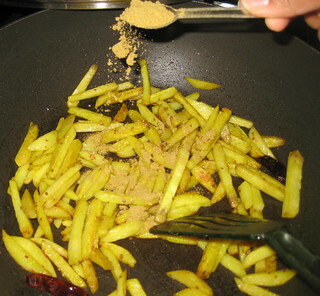 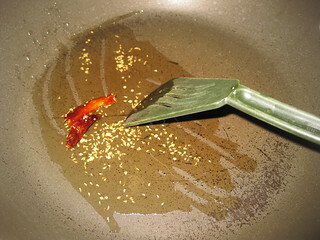 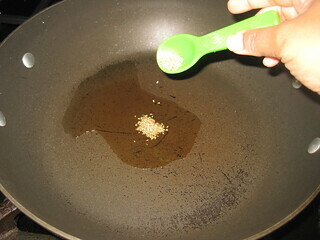 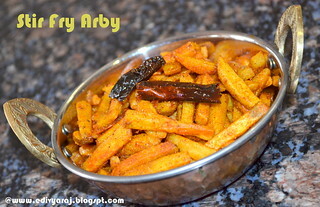 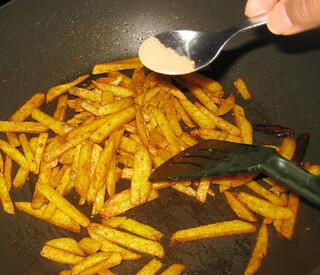 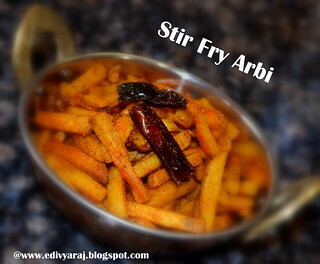 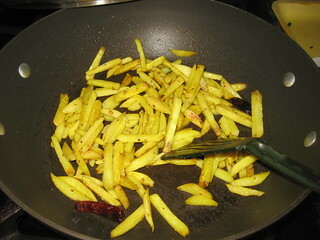 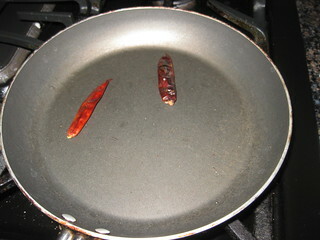 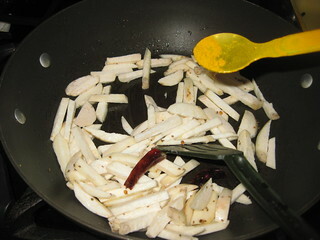 Add Carom Seeds (ajwain) and whole red pepper,stir fry for few seconds until red pepper has become little dark in color. 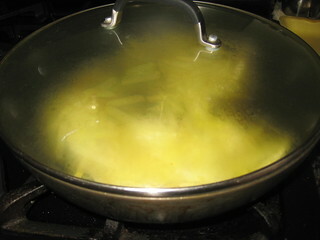 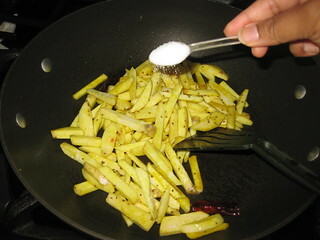 Add sliced taro roots stir-fry for 2 to 3 minutes and and turmeric powder , salt mix well and cover. 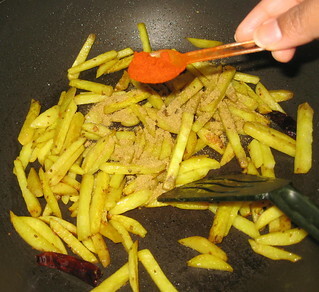 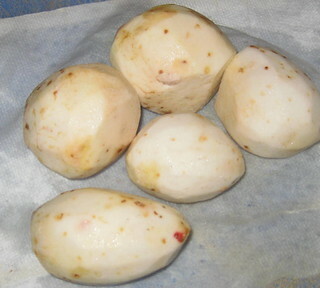 Let it cook for 5 to 6 minutes or until they are tender (stir once or twice in between)and cover it back until they are tender. 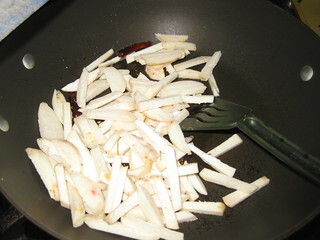 Next add coriander powder,red chilli powder,mango powder stir fry until taro roots are light golden brown this will take about 4 minutes. 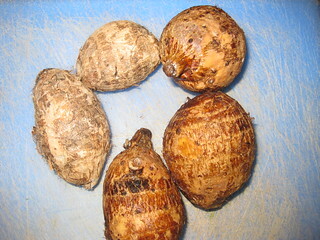 Taro roots will be lightly crunch.Serve with rice or rotis.Enjoy it!!! 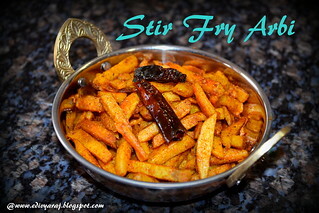 This delightful dish is bursting with beautiful and healthy flavors and is so easy to make.And the best part is that you can serve it as a starter or a side. 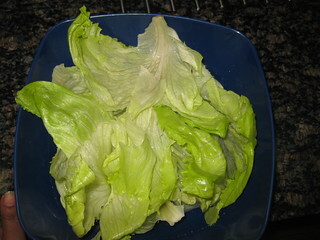 Separate the Ice berg lettuce leaves and soak them in ice cold water.This will help to keep the leaves crisp.So do not miss this step. 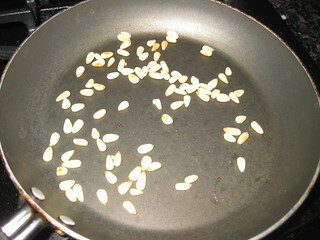 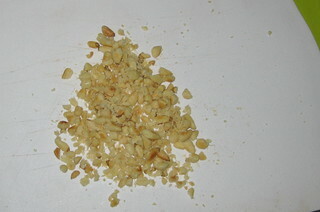 In a pan add walnuts or pine nut dry roast them and chop and keep it aside. 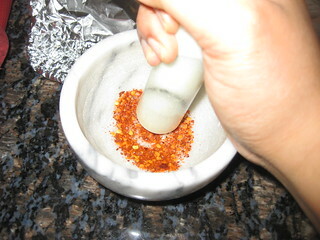 In a pan take red chillies dry roast and crush into powder.Keep it aside. 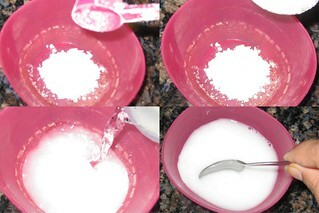 In a bowl,put in 3/4th cup water and mix in the cornstarch and sugar.Keep aside. 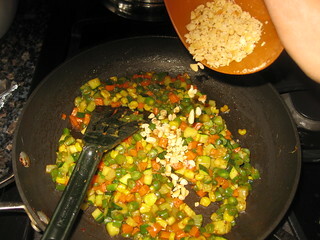 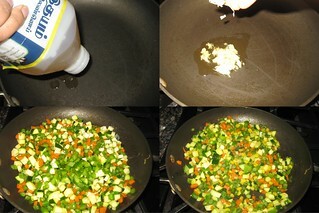 In a wok ,heat the sesame oil and put in the ginger.Stir fry it for a minute and then add all the finely chopped vegetables. 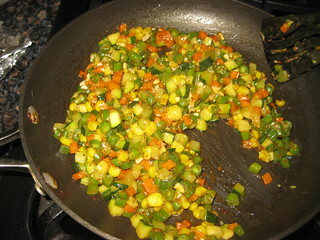 Stir fry all the vegetables,until done for about 4 to 5 minutes. 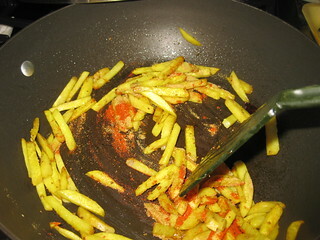 Put in the water cornflour mixture,soy sauce,crushed red chilli,pepper,schezwan sauce, and salt.Cook until the sauce thicken,which should take about 3 to 4 minutes.Take off the heat and sprinkle in the toasted walnuts. 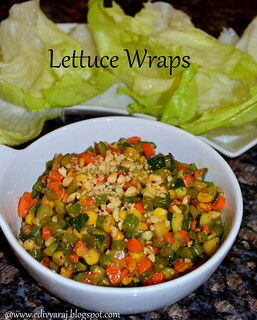 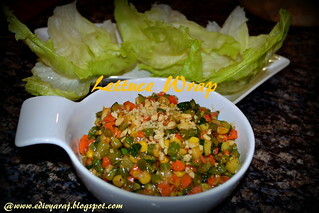 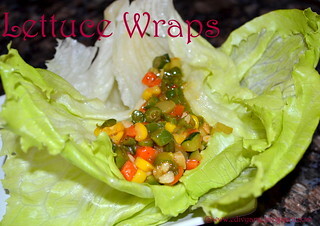 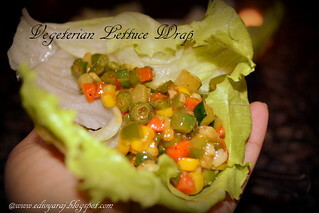 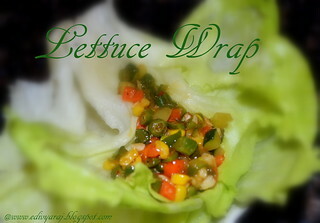 Place a portion of the vegetables over a crisp lettuce cup and repeat with the other leaves until the vegetables are used up. 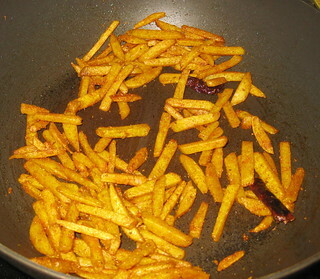 Serve as a started or a side.